By road: The 120 km long and 1100 meters of altitude tough first stage between Östersund and Åre got a thrilling finale in which Lorents-Ola Aasvold, Nidaros VK was the first to cross the finish line, just ahead of Patrik M, Nordic-Eco Vallentuna and Team Cykelcitys Sebastian Balck. The 120-km long and 1100 meters of altitude tough first stage between Östersund and Åre got a thrilling finale in which Lorents-Ola Aasvold, Nidaros VK was the first to cross the finish line, just ahead of Patrik M, Nordic-Eco Vallentuna and Team Cykelcitys Sebastian Balck. The day started on Frösön and the finish was up at Copperhill in Åre. The stage gave us a tough conclusion in Åre, when riders first had to take on the Christmas Tree Hill with a persistent gradient of 18%, and then finish in just over 5 km uppförskörning, with an average gradient of more than 6%, against Copperhill. 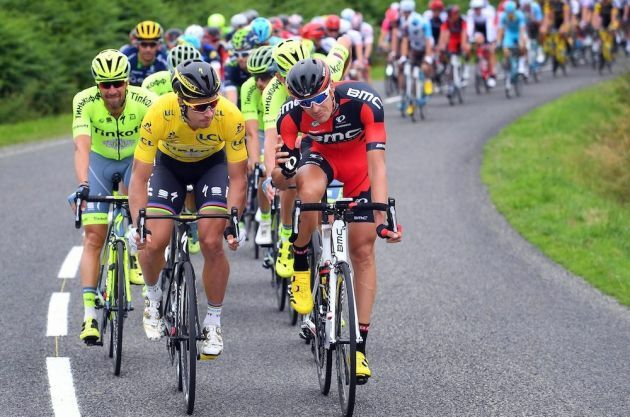 The peloton kept an average speed of nearly 42 km/h. -It was easy to sit in the peloton at the beginning and save power. Since when mountainous price on top of the Christmas Tree Hill I was among the first five. The plan was to wait with pressure until we reached the ski lifts in Åre Björnen, where I got a gap, but was overtaken by Tobias Lafortune from Team Cykelcity. Despite this I managed to be half a metre before the others in the case. It was certainly hard to ride the last two kilometers on dirt, “said Lorents-Ola Aasvold, Nidaros VK. Best hemmacyklist is still David Ekholm who slipped down to 19th place on today’s stage, 1 minute and 44 seconds behind the winner. -It was a fun stage with awesome cool stretch, the body felt like that. I was sitting too far back in the Pack when we went into the spruce Hill and dropped position. Since we worked ourselves up with the peloton over just when we turned off towards Copperhill and then drove the strongly up the Hill. says David Ekholm, Östersund Bicycle Club. Sebastian Balck, yesterday’s prologue winner, retains both the black and White Jersey.Leaders in the Sprint competition is Jonas ahlstrand Team Cykelcity and mountains led by Lucas Persson also Team Cykelcity.